Resident Evil 2 is ranked in the 100th percentile of games scored on OpenCritic. That’s where Resident Evil succeeds. Not in the drivel spouted from its character’s mouths, but in the bullets spewed from their guns. Or better yet – the clicking of empty chambers, or the spine-chilling scratches of scrabbling overhead. I may hate lickers, but I’m also a little bit in love. If 2017’s Resident Evil 7 was a return to form for the long-in-the-tooth horror brand, the Resident Evil 2 remake is proof that Capcom never really lost its touch—it only lost its way. 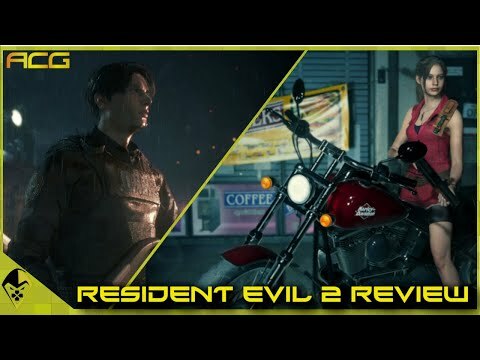 Resident Evil 2 Remake evolves, iterates, and expands on just about every conceivable and desirable component of the base game and the lore within it to make a more enticing and enriching modern experience that opens new doors for the franchise. This is a monumental achievement that has been well worth the wait. Resident Evil 2 provides some of the best moments in the franchise. That can mean turning to flee as an unstoppable tyrant stomps closer and closer to you, using a flamethrower to dispose of a plant-infested zombie, or puzzling out where to place the Queen piece in a puzzle. The raw experience of playing Resident Evil 2 is visceral, bloody, and often incredibly rewarding. Resident Evil 2 is much more than a HD update that so many people thought it would be. Just like Resident Evil when it was brought back for the Gamecube, things have been changed around enough to make the game fresh and exciting, even for those Resident Evil diehards who have played the original to death. 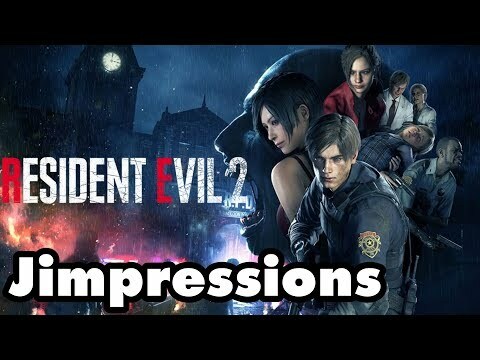 Capcom didn't disappoint, and we can state the fact: Resident Evil 2 is one of the best games of current generation and simply the best remake ever made. Not only it evokes nostalgia for game veterans but delivers much more to remember it for a long time. This remake is, without a doubt, the best way to experience Resident Evil 2. I’m always reluctant to throw around high praise and label games as the best the genre has to offer. Games tend to be overhyped on release and then the love dies down over a few months and you end up looking a little stupid. Here’s the thing though, Resident Evil 2 really is that good. It actually is genre-defining. It is one of the best triple-A experiences I’ve had in years and it will be in contention for my game of the year. You can believe the hype this time. Resident Evil 2 is phenomenal. Packed with nostalgia, new challenges, complex and deep gameplay that doesn't just adapt but embodies the genre it's inhabiting, and a AAA presentation that blows every previous RE out of the water — yes, even REmake — I feel confident in this assessment: As it was in 1998, so to shall it be in 2019. Resident Evil 2 is the best Resident Evil game ever made, full stop. 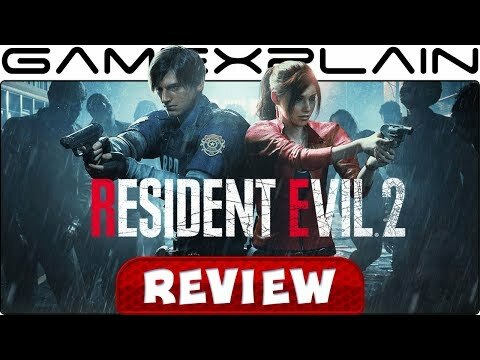 Resident Evil 2 is an absolutely phenomenal remake, one which is bolstered by the developer's renewed sense of confidence and a newfound sense of direction. Capcom has fully come to grips with what the series should look like in this day and age, and the end result is pure survival horror, retooled and retweaked for a modern audience. The Godfather of survival horror is back. With a great campaign, extra modes, and other unlockables Resident Evil 2 is without a doubt a must own. Resident Evil 2 is an excellent game. The Survival Horror that fans wanted so much is here, the technical aspect is impressive and the various campaigns (even if they have very similar elements) increase the lifespan considerably. Although the remake is not exactly identical to the original, the essence of the 1998 game remains present. Resident Evil 2 is a must-have title in your collection. While the game lacks in more open environments with several sections coming out as just hallways, it still nails it with its bleak tone, fantastic enemies, and groundbreaking characters. In short, Resident Evil 2 is a “must have” for any survival horror fan. A perfect remake or Resident Evil 2 and an amazing game overall. I got what I expected it to be and even more than that. Definitely a recommendation for fans or the series as well as for everybody else. A fan-faithful remake rebuilt from the ground up and jam-packed with quality content. 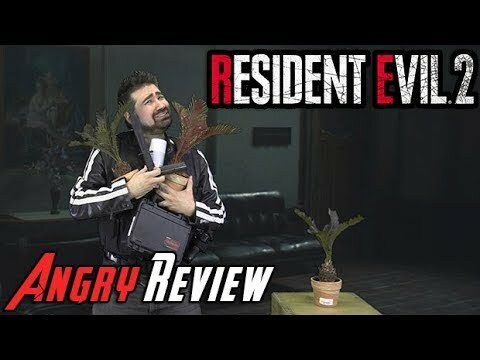 A package both longtime Resident Evil fans and newbies will enjoy. Capcom has achieved the near-impossible with the remake of Resident Evil 2. A remarkable labour of design, iteration, faithfulness, and adaptation; a masterclass in knowing what to change, how to change it, and what to build upon, Resident Evil 2 in 2018 emerges from the shadow of its namesake with consummate ease. Resident Evil 2 survives the horror of summiting a twenty-one year old apex. Time-worn mechanics, either left abandoned or considered obsolete, are accountably refashioned through an agile interface and a relentless commitment to creating tension. Resident Evil 2's pervasive sense of dread, the handshake between past and present, remains delightfully, gruesomely in place. 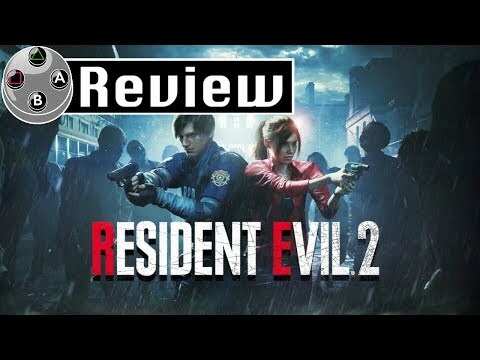 A faithful remake that does exactly what it needed to do while adding plenty of its own ideas, Resident Evil 2 is now as terrifying in 2019 as it was in 1998. No matter what your past with this series, this new face of Resident Evil 2 must be within your priorities at all costs, because the love work that was printed on it, is something that I had not been able to see inside the medium. Resident Evil 2 is a breath of fresh (or should I say foul and dead?) 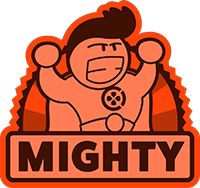 air into the bloated world of open-ended gameplay mechanics that, instead of leaving the player feeling empty and exhausted for the amount of options, leave them with a constant sense of tension but knowledge and will to push on. Truly an innovation that proves its necessity. It was a joyride of gore, horror and intense survival gameplay that I could not put down. With great pacing and respect for the source material, Resident Evil 2 is a game that keeps you on the edge of the seat. This time, Capcom's achievement is taking a classic and turning it into an immortal jewel. 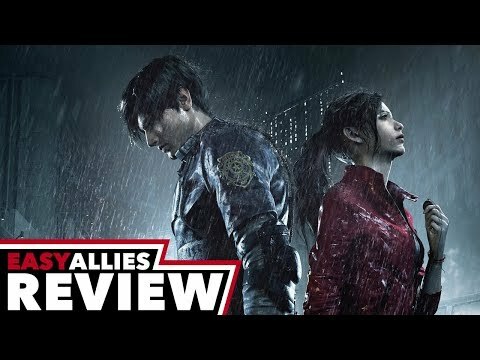 All in all, Resident Evil 2 is an excellent remake that modernizes the classic 1998 video game and makes it playable by today's standards. Not only does the game pay homage to the original game, but it also offers something fresh for both new and old fans of the franchise. This is easily an early 2019 ‘Game of the Year' candidate. Resident Evil 2 is the perfect remake. Everything, from the re-design of levels to the graphics, is a huge step forward. Capcom is no longer confused about the series; it is the old and beloved company we used to know. The sense of fear and terror when playing Resident Evil 2 never leaves you. It's unlike anything else I've encountered in a Resident Evil game previously. I'm just going to go ahead and call it: Resident Evil 2 is the best Resident Evil game in the franchise and represents a series and developer at its peak. Don't be distracted by the pretty graphics and gore, Resident Evil 2 is straight-up dangerous. A fantastic big budget remake of one of Resident Evil’s most popular entries, that manages to look state-of-the-art but in terms of gameplay finds a perfect balance of old and new. We loved every moment of Resident Evil 2, and even if you know the first game inside out, you won’t know the Remake at all. Resident Evil 2 is loyal to the original where it counts, while also upgrading the experience with beautiful visuals and modern gameplay conveniences. 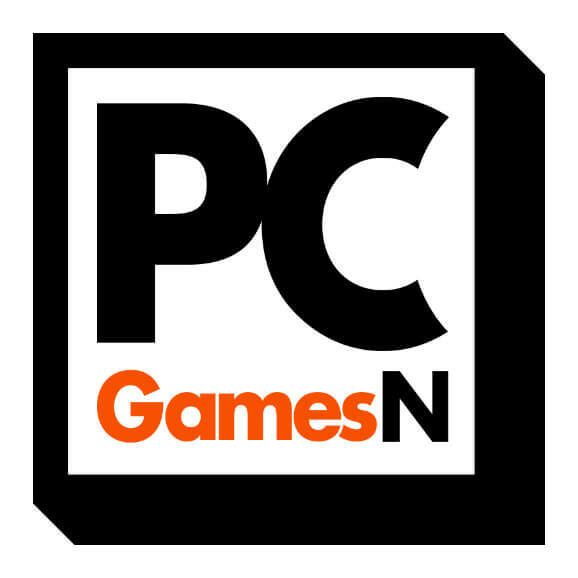 It's so loyal that newcomers might find it a touch archaic, but for fans of the original, it's an absolute joy to play, and a fantastic horror game in its own right. Non-stop, tense horror adventure that delivers on its promise of keeping players on their toes as they navigate the corridors of the game, avoiding enemies and preserving ammo as you must in real survival. The graphics revamp and musical score make the game seamlessly fit into 2019, and we believe the experience justifies launch day buy. 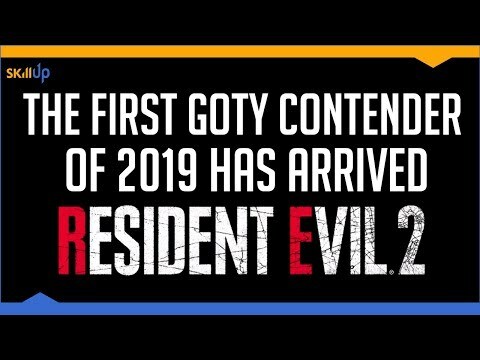 The remake of Resident Evil 2 is therefore what was supposed to be, what we wanted it to be: a title that is able to offer a new body to some of our best videogame memories. Welcome back to Raccoon City. Resident Evil 2 sets a new standard for game remakes. Series veterans and newcomers alike will find a meaty adventure they can sink their teeth into with this title. It's the best one ever in the history of remasted games. Not only the graphics performance but also the whole gameplay feels like a 2019 game. 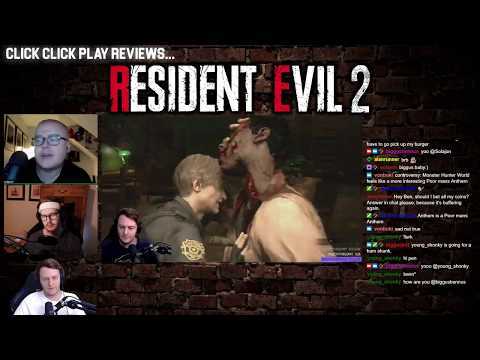 The new Resident Evil 2 offers the old fans a great opportunity to re-experience the classic horror and shows the best part of the series to the new generation of gamers. A classic of the survival horror genre re-built for the modern age. This is how a remake should always be. Resident Evil 2 – while not a perfect game – is the perfect remake. Capcom has lovingly rebirthed a horror icon here, preserving that core DNA without infecting it through needless add-ons or alterations. There are certain aspects that will definitely grate and feel weirdly archaic though these are clearly an intentional part of Capcom's grand design. Whether you've been waiting all these years to revisit Raccoon City or happen to be a curious first-timer, Resident Evil 2 is an essential must-have slice of video game horror, kicking off 2019 in style. The Resident Evil 2 remake is, indeed, the best Resident Evil game ever released. I see that now. It brings back everything that fans loved from the PS1 classic, and presents it in a fresh way that's both exciting and nostalgic in a modern age. Survival horror isn't dead, inform the press that Resident Evil really is back. This Resident Evil 2 remake is a phenomenal update of a classic game. It combines the best of the original's narrative and puzzles with the ammo crafting of Resident Evil 3 and the action gameplay of Resident Evil 4 to create a hybrid that still manages to feel like classic Resi. The game assures that the malicious ideas that guided Resident Evil 7 may become the governing principles of the series moving forward. You’ll also come across quite a few surprises in terms of boss encounters and scenes that definitely weren’t in the original game that I won’t spoil here, but suffice it to say, you’ll be left with your jaw hanging open. Unfortunately, the game doesn’t take the opportunity to flesh out or expand on some of the more ambiguous parts of the Resident Evil lore, which I would have liked to see, but given that it does deliver with new content all its own, that’s not a huge issue. A triumphant remake and reimagining of a beloved classic that makes it stand toe-to-toe with modern games, even if the seventh entry succeeded more in that aspect. Resident Evil 2 Remake does more than make a great game look prettier for the modern crowd. The changes make the game a brand-new experience for those who have played the original, but the title keeps a sense of familiarity that prevents it from being totally unfamiliar. Resident Evil 2 is a great example of how to remake an older game by keeping enough of the original game's core while implementing enough new mechanics to modernize it. The end product is everything I wanted out of a Resident Evil game and more. Make no mistake, Resident Evil 2 is still an excellent survival-horror game that modernises the original in a myriad of intelligent ways, giving new players an incredible first experience and continuously surprising returning players. Resident Evil 2 exceeds all expectations and shows how to handle a reissue of a classic like this. The new gameplay elements remove a bit of the tension from the original but deliver a solid modern experience with a lot of graphic tidbits for Fans of Survival Horror and Gore. Resident Evil 2 is an excellent remake of a horror classic. While the narrative shortcomings of the original game remain so does the inescapable menace of its atmosphere and the timeless horror which makes it so compellingly terrifying. Excellent combat and level design make it a pleasure to play while a multiple campaigns and modes make this definitive edition rich with content. The remake of Resident Evil 2 is the ultimate survival horror experience that takes Mikami’s successful formula and shapes it to greatness. Resident Evil 2 remake is so good that I personally hope that Capcom focuses more on remakes instead of making new RE titles. Resident Evil 2 might be one of the most accomplished remakes of the generation. Capcom returns to Raccoon City with Resident Evil 2, a remake of the 1998 classic!